For more than a quarter century, people throughout North Carolina have turned to Ganly & Ramer, P.L.L.C., attorneys for legal help following an injury at work or an accident caused by another party's negligence. 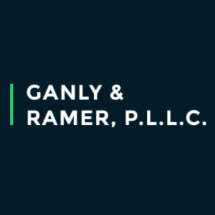 Ganly & Ramer lawyers offer clients unparalleled case results backed by the highest levels of compassionate and responsive client service. Practicing exclusively in the areas of North Carolina workers' compensation and personal injury/wrongful death litigation, the law firm's attorneys have obtained tens of millions of dollars in settlements and jury verdicts on behalf of the clients. The firm offers a free consultation and handles all cases on a contingency-fee basis. Clients pay no upfront case costs or attorneys' fees. You pay only if you recover money in a settlement or jury verdict.